Background : Dermatophytosis is the common cutaneous infections in humans and animals, which is caused by the keratinophylic fungus called dermatophytes. In recent years , drug-resistance in pathogenic fungi, including dermatophytes to the current antifungal have been increased . The aim of this study was to evaluate the antifungal efficacy of AgNPs against Microsporum canis, Trichophyton mentagrophytes, and Microsporum gypseum. Materials and Methods: The antifungal susceptibility of nano-silver particles (AgNPs) compared with Griseofulvin (GR). Its efficacy was investigated against three strains of dermatophytes by both agar dilution and broth microdilution test (BMD). Results : The average minimum inhibitory concentration (MIC) of Ag-NPs on M. canis, T. mentagrophytes and M. gypseum were 200, 180, and 170 μg/ml , respectively. Whereas these strains showed MIC of 25, 100 and 50 μg/ml for Griseofulvin (GR). Conclusions: Our finding indicated that the AgNPs was less active than Griseofulvin (GR) but it had anti-dermatophytic effect. Silver nanoparticles (AgNPs) are the particles with sizes of 2-100 nm, which contain 20-15,000 silver atoms (1). These particles are used in medicine, dental cements, treatment of wounds and burns, water purification, and textile engineering (2-4). Several studies have been carried out concerning the antimicrobial properties of Ag-NPs against various pathogens such as viruses, fungi, and some bacterial species. Most of which have confirmed the antimicrobial properties of Ag-NPs (5, 4, 6). The mechanisms of action of Ag-NPs refer to their accumulation on the membrane of microorganisms, formation of pores, and change in permeability of cell wall, and inhibition of respiration process. In addition, it has been shown that Ag-NPs can greatly inhibit cellular respiration, DNA replication, and cell division, which result in the loss of cell viability, and lead to cell death (7, 8). Dermatophytosis is the most common cutaneous fungal infections with worldwide distribution. Dermatophytes can grow in keratinized tissues such as hair, nails, and the outer skin layer (9, 10). This infection occurs in human’s skin, pets,and farm animals. Dermatophytes fungi consist of three genera of Epidermophyton, Microsporum, and Trichophyton, consisting of about 40 accepted species (11, 12). Clinical features of dermatophytosis are observed as tinea capitis, tinea corporis, tinea barbae, tinea faciei, tinea cruris, tinea pedis or athlete’s foot, tinea manuum,tinea unguium (onychomycosis), and allergy to dermatophyte antigens (13). Depending on different types and severity of infection,various therapeutic agents such as Griseofulvin and oral and/or topical formulations of azoles or allylamines, particularly itraconazole and terbinafine, are used in the treatment of dermatophytosis (14, 15). According to the increased the number of antifungal-resistance reports in some strains including M. gypseum and T. mentagrophytes (16-18), antifungal efficacy of Ag-NPs against M. canis, T. mentagrophytes, and M. gypseum was evaluated in this study . Nano-silver (Nanocid®) was purchased from Nano Nasb Pars Co, Tehran, Iran. The silver nanoparticles with average particle size of 4 nm were synthesized by a novel process that involved the photo-assisted reduction of Ag+ to metallic nanoparticles and theirbio-stabilization based on undisclosed US-patent (United State Patent Application under No. US/2009/ 0013825) (17). 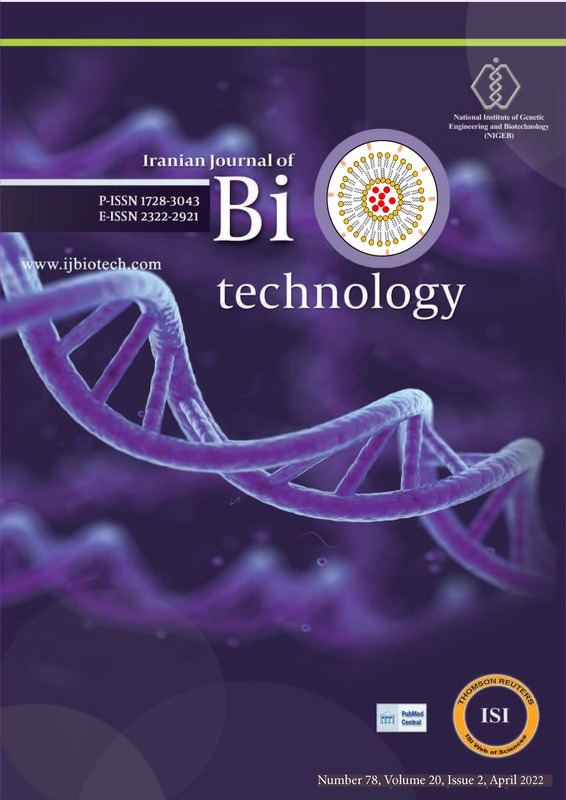 Dermatophyte strains including M. canis PTCC 5069, M. gypseum PTCC5070, and T. mentagrophaytes PTCC 5054 were purchased from Iranian Research Organization for Science and Technology (IROST) in Tehran, Iran. Antifungal susceptibility testing was performed by microdilution assay and agar dilution method, according to the guideline of Clinical and Laboratory Standards Institute (CLSI) in the M38-A document for filamentous fungi (19). For broth microdilution test, dermatophytes strains were subcultured on potato Dextrose Agar (PDA) (Merck Co., Darmstadt, Germany) and incubated at 30°C for 5-7 days. Conidia were moved to sterile saline and allowed to rest for 15 min.Conidia was counted by a hemocytometer, and the suspension was adjusted to 1×104 CFU/ml in RPMI 1640 medium (with L-glutamine, without sodium bicarbonate; GIBCO-BRL, Grand Island, NY) buffered with MOPS (3-(N-morpholino) propanesulfonic acid; Serva, Feinbochemica GmbH, Germany). Serial dilutions of drug (200-0 mg.mL-1 for Ag-NPs and griseofulvin) and inoculum were combined in 96-well microtiter plates and incubated at 32°C for 5 days (20). Inhibited growth by 90% of fungal growth compared with the positive control determined as minimum inhibitory concentration (MIC). Griseofulvin was used as a positive control for the evaluation of antifungal activity. A plate for each fungal strain with no Ag-NPs was used as negative control. The experiments was performed for each fungi sample in triplicate. The inhibitory effects of various concentrations of AgNPs (0, 40, 80, 120, 160,170 and 200 mg.ml-1) were assayed on three dermatophyte strains. An in vitro assay was carried out on a PDA (Merck Co., Darmstadt, Germany) treated with different concentrations of Ag-NPs as above and GR (0, 3.125, 6.25, 12.5, 25, 50, 100, 200). Various concentrations of AgNPs and GR were poured to PDA medium prior to plating in petri dish. Inoculum containing 1×104 CFU.ml-1 of dermatophyte strains as described previously in the broth microdilution test was added to the hole in the plate’s center. The plates were incubated for 14 days in 28°C. When the control plate was covered completely with fungal growth, the MIC was read. The MIC was determined as the lowest Ag-NPs and GR concentration that inhibited visible growth (21, 22). The experiments were replicated three times. Data were expressed as mean±SD of at least three independent experiments. One-way ANOVA was used to calculate statistical significance between positive control and culture medium treated with Ag-NPs at p-value < 0.05. The inhibitory effects of Ag-NPs at various concentrations were tested on the growth of M.canis PTCC 5069, M. gypseum PTCC 5070, and T. mentagrophaytes PTCC 5054. Comparison between MICs of Ag-NPs and GR indicated that the antifungal efficacy of GR on dermatophayte strains was significantly higher than Ag-NPs (p< 0.001). Susceptibility results of dermatophayte strains to Ag-NPs and GR are illustrated in (Figure 1) M. Canis had the highest resistance (200 mg.mL-1), following T. mentagrophayte (180 mg.mL-1 and M. gypseum (170 mg.mL-1). Mean MIC for GR were 25, 100 and 50 mg.ml-1, respectively. The colony diameter dermatophyte strains (mm) in various concentrations of griseofulvin and Ag-NPs are shown in (Tables 1 and 2) respectively. Dermatophytosis is caused by the keratinophylic fungus called dermatophytes (23). Transmissibility from infected humans or animals to human is one important public health problem caused by dermatophyte species (24). In some cases, treatment of the disease with the current therapeutic agents can result in the damage of host tissues due to the similarity between human’s eukaryotic cells and fungi structure, emergence of drug resistance to fungal strains, and treatment failures (25, 26). Different research groups have investigated the efficacy of Ag-NPs for pathogenic yeasts, molds, bacteria, and viruses (5, 27). But, information about anti-dermatophyte activities of nano-silver particles is few (28, 29). This study was performed to investigate a new antifungal drug for the treatment of dermatophyte infection caused by M. Canis, T. Mentagrophytes, and M. gypseum. Our findings revealed that GR had higher anti-dermatophytes activity than Ag-NPs. Comparison of the three tested dermatophyte strain showed that M. canis was more resistant to Ag-NPs. Dermatophyte strains demonstrated an antifungal activity to AgNPs with the following order of resistance: M. canis> T. mentagrophytes> M. gypseum. Ability of Ag-NPs in destroying fungi and forming pores in cell walls and plasma membrane is the potential mechanism of its inhibitory effect on different organisms (7, 30). Here, the most GR-susceptible strains were M. canis followed by M. gypseum and T. mentagrophytes. antifungal and antimicrobial effects (31-33). Atef et al. (33) reported the growth inhibition of of the AgNPS on T. mentagrophytes and C. albicans. In their study, MIC100 AgNPs against C. albicans and T. mentagrophytes were 4 ±2.0 mg.mL-1 and 5±0.10 mg.mL-1, respectively. Kim et al. (29) showed that Ag-NPs had an inhibitory effect on the growth of T. mentagrophytes, C. albicans, C. tropicalis, and C. glabrata. Ag-NPs (IC80, 1-7 mg.mL-1) exhibited greater efficacy than fluconazole (IC80: 10-30 mg.mL-1), but less active than Amphotericin B (IC80: 15 g.mL-1). Peticaet al. (32) indicated that the colloidal solutions containing up to 35 ppm Ag-NPs could inhibit the growth of Aspergillus, Penicillium, and Trichoderma species. Moreover, the inhibition effect of low concentrations of Ag-NPs on yeasts and E. coli were noted (8). Khaydarov et al. (34) reported the Ag-NPs MIC for E. coli and S.aureus were 3 and 2 mg.L-1,respectively. Azimi et al. (35) demonstrated the greater antifungal effect of Ag-NPs on S. mutans and S. sanguis than Nigella sativa oil.The inhibitory effects of Ag-NPs on the growth of Gram-negative bacteria E. coli and Gram-positive bacteria S. aureus and S. mutans were confirmed (36, 31). All of which appeared to be in agreement with our findings and other results reported the antimicrobial activity of Ag-NPs. Rathod et al. (37) demonstrated that synthesized Ag-NPs by Rhizopus stolonifer has a considerable antifungal activity on T. mentagrophytes and Candida species compared with Amphotericin B and fluconazole. Similarly, the antifungal effect of Ag-NPs alone and combined with geriseofulvin against Trichophyton Rubrum was studied. The results showed that Ag-NPs had superior efficiency than fluconazole (40 mg.mL-1), but less inhibitory antifungal efficiency than Geriseofulvin (0.8 mg.mL-1). In addition, they confirmed thatthe antifungal activity of flocunazole and Geriseofulvin is increased in the presence of Ag-NPs (28). Similarly, in Gajbhiye et al. (38) increasing inhibitory effects were reported once flocunazole was used in combination with Ag-NPs against C. albicans, Phoma, Glomerata and Trichoderma species. In conclusion, our data showed that (1) AgNPs had anti-dermatophytic effect and (2) the AgNPs was less active against dermatophyte strains. 2. Gao C, Xu Y, Xu C. In Vitro Activity of nano-silver against Ocular Pathogenic Fungi. Life Sci J. 2012;9(4):750-753. 3. Mirshokraei P, Hassanpour H, Akhavan Taheri M, Riyahi M, Shams-Esfandabadi N. The in vitro effects of nanosilver colloid on kinematic parameters of ram spermatozoa. Iran J Vet Res. 2011;12(4):317-323. 5. Mehrbod P, Motamed N, Tabatabaian M, Estyar RS, Amini E, Shahidi M et al. In vitro antiviral effect of” Nanosilver” on influenza virus. DARU J Pharm Sci. 2009;17(2):88-93. 10. Rippon JW. Medical mycology; the pathogenic fungi and the pathogenic actinomycetes. Eastbourne, UK; WB Saunders Company; 1982. 17. Moaddab S, Ahari H, Shahbazzadeh D, Motallebi AA, Anvar AA, Rahman-Nya J, et al. Toxicity study of nanosilver (Nanocid) on osteoblast cancer cell line. Int Nano Lett. 2011;1(1):11-6. 19. Wayne P. Clinical and Laboratory Standards Institute: Reference method for broth dilution antifungal susceptibility testing of yeasts; approved standard. CLSI document M27-A3 and Supplement S3. 2008. 28. Noorbakhsh F, Rezaie S, Shahverdi AR. Antifungal effects of silver nanoparticle alone and with combination of antifungal drug on dermatophyte pathogen Trichophyton rubrum. IPCBEE. 2011;5:364-367. 29. Kim KJ, Sung WS, Moon SK, Choi JS, Kim JG, Lee DG. Antifungal effect of silver nanoparticles on dermatophytes. J Microbiol Biotechnol. 2008;18(8):1482-1484. 31. Wasif A, Laga S. Use of nano silver as an antimicrobial agent for cotton. AUTEX Res J. 2009;9(1):5-13. 33. Atef AH, Mogda KM, HH M. Biosynthesis of silver nanoparticles (Ag-Nps)(a model of metals) by Candida albicans and its antifungal activity on Some fungal pathogens (Trichophyton mentagrophytes and Candida albicans). New York Science Journal. 2013;6(3):27-43. 35. Azimi Laysar H, Niakan M, Mohammad Taghi G, Jafarian Z, Mostafavizade M, Niakan S. Comparison of the antibacterial activity of various concentrations of Nigella Sativa and Nanosilver on the growth of S. sanguis and S. mutans. Res Dent Sci. 2013;9(4):179-186. 37. Rathod V, Banu A, Ranganath E. Biosynthesis of highly stabilized silver nanoparticles by Rhizopus stolonifer and their Anti-fungal efficacy. Int J Cur Biomed Phar Res. 2012;2(1):241-245. 38. Gajbhiye M, Kesharwani J, Ingle A, Gade A, Rai M. Fungus-mediated synthesis of silver nanoparticles and their activity against pathogenic fungi in combination with fluconazole. Nanomedicine: Nanotechnology, Biology and Medicine. 2009;5(4):382-386. DOI: http://dx.doi.org/10.1016/j.nano. 2009.06.005.